We hosted a very special theatrical presentation. 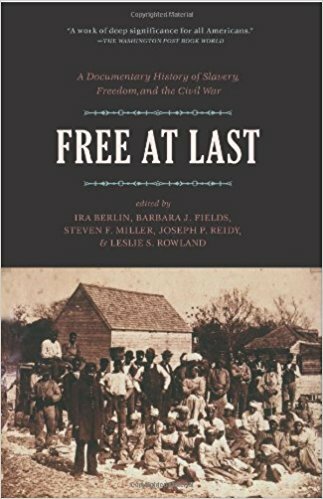 We reached back to 1995, when I produced a dramatic reading of Free At Last, the stories and thoughts of those who lived through and fought in America’s Civil War. The play’s script was drawn from a book by the same title, co-edited by historian Dr. Ira Berlin and Barbara J. Fields. The play was directed by Donald Hicken, who was then the head of the Theatre Program at Baltimore School for the Arts (BSA). The play’s narrator was dancer, actor and educator Maria Broom, and the actors – all faculty members at BSA – were Denise Diggs, Bill Grimmette and Tony Tsendeas. 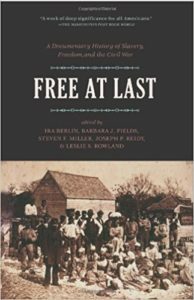 Free at Last: A Documentary History of Slavery, Freedom, and the Civil War features the actual words of those who lived through America’s Civil War: White and Black, Union soldiers and officers, Confederate soldiers and officers, civilians and mothers. People searching for their families, telling why they hated slavery and others telling why they thought slavery was the right of Southerners to hold.